An analysis of the lighting industry shows a trend shifting from the usage of incandescent bulbs to fluorescent bulbs (also known as Compact Fluorescent Lamp or CFL). Incandescent bulbs use more fossil fuel energy, are more costly and are less effective than fluorescent bulbs, in the amount of artificial light they produce as fluorescents produce more lumens than incandescent lights. Usage of fluorescent bulbs, however, is not entirely without risk because they contain mercury, a chemical compound that can have debilitating effects on humans upon prolonged exposure. All fluorescent bulbs contain mercury. In fact, the standard fluorescent bulb has about 20 milligrams of mercury. It is clear that these lamps must be managed properly to protect human health and the environment. The risk of leaving mercury deposits in landfill is high; therefore, recycling seems the most conscientious and environmentally safe recourse. A national fluorescent bulb recycling law not only helps the environment but promotes new business growth and job opportunities, as well. Because of its unique properties, the most effective way to dispose of mercury-bearing wastes is through recycling. Continued illegal disposal of mercury wastes continues, resulting in unnecessary exposure to people and the planet; however, a grass roots movement to protect the environment has created momentum to generate a national law prohibiting the disposal of fluorescent bulbs in landfills. Recycling of fluorescent lamps is essential to prevent release of toxic materials into the environment. 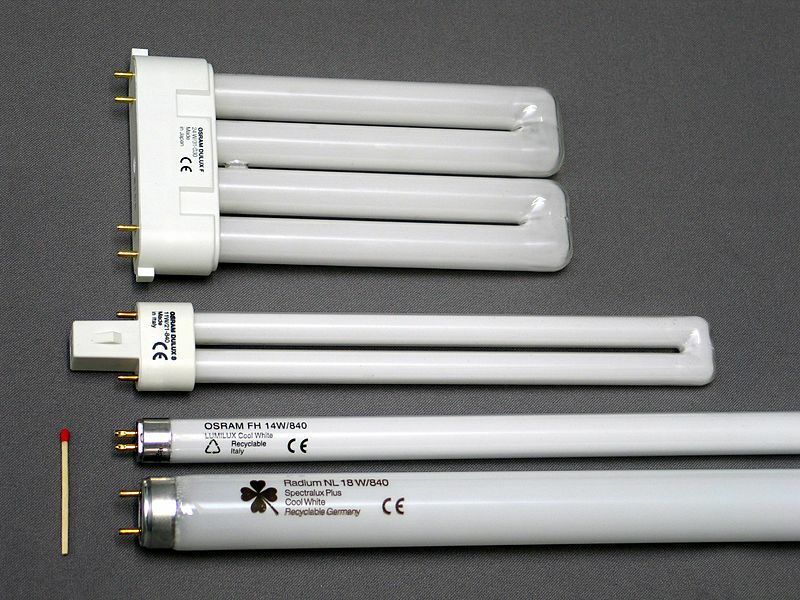 The manufacturers of fluorescent tubes are responsible for the proper labeling of mercury-containing lamps to alert customers to their hazards. With the labeling of the symbol “Hg” on each lamp, individuals should recognize these products contain mercury. Private industry has to partner with government to develop a plan to eliminate fluorescent bulbs in landfills. To further encourage recycling, the cost of recycling should be initially absorbed by the manufacturers, who in turn, may pass the costs to the consumers. The consumer can then return the spent bulbs to their purchase point of origin. This has worked in other recycling sectors, and it can also work with mercury-containing devices such as fluorescent lamps.